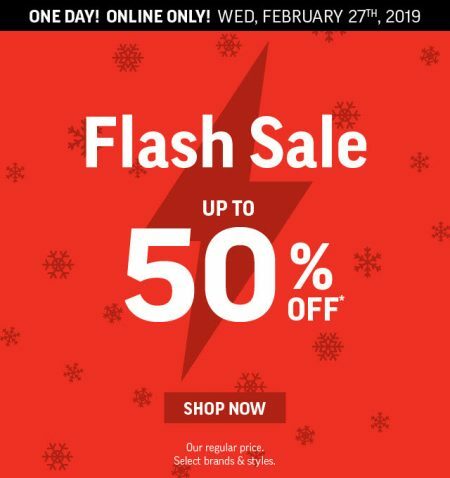 Hudson’s Bay is having a 1-day only Flash Sale today (Wednesday, March 6, 2019). 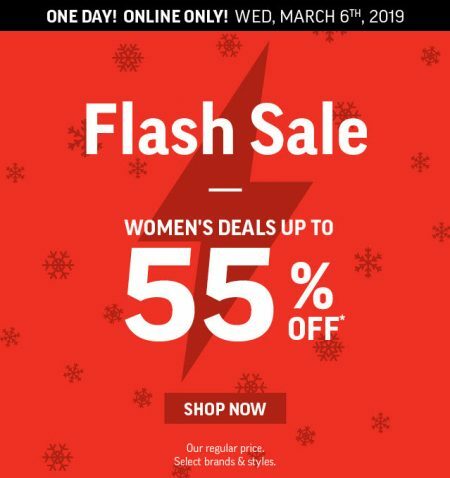 Save up to 55% off women’s deals (select brands & styles) + free shipping on your entire order! 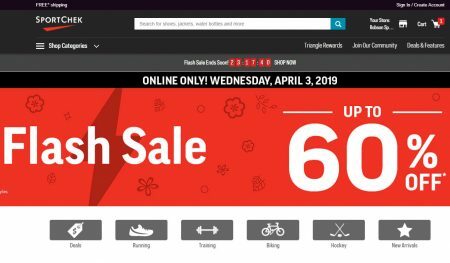 Hurry, the sale is available online-only on Wednesday, March 6, 2019 or while supplies last. 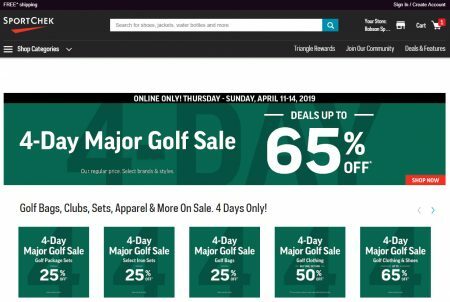 Shop early for the best selection of sizes and styles. 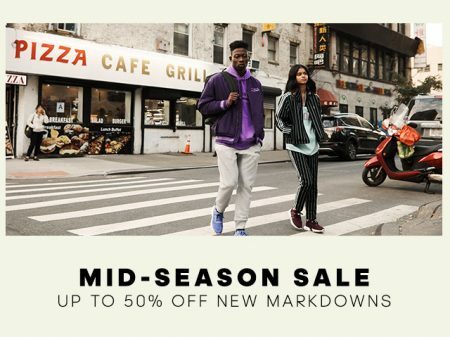 Save up to 50% off select brands & styles + free shipping on your entire order! 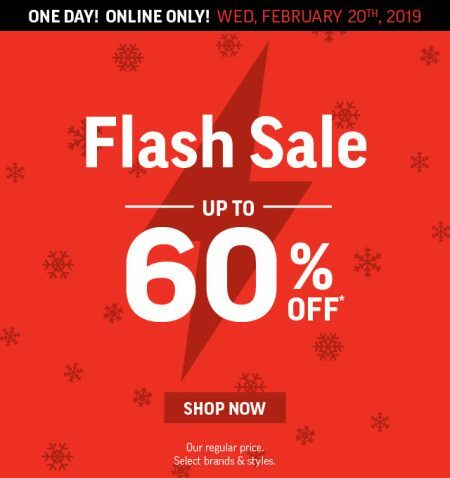 Hurry, the sale is available online-only on Wednesday, February 27, 2019 or while supplies last. 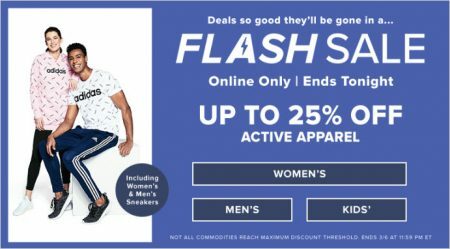 Shop early for the best selection of sizes and styles. 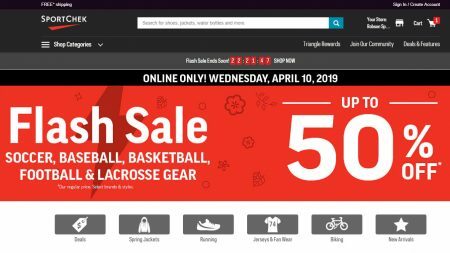 Hurry, the sale is available online-only on Wednesday, February 20, 2019 or while supplies last. Shop early for the best selection of sizes and styles.